You can confirm it; the scientists are going crazy. Entire homes are being 3D printed and constructed in last than a day, living tissue is being grown and eatable cheese is being piped out of printers. The world of 3D printing means, with the right materials we can create anything. You can find blueprints for just about any items can be found on the web. Some of the items will be able to save lives and some will can be used to make our lives much easier. We can now print our own cheese, pizza and homes? You wouldn’t believe it unless you saw it but a house has been constructed using 3D printing. The house was built in a town outside of Moscow, it was the first 3D-printed residential home in the world. The most amazing feature is the house only cost $11 000 to complete and took only 1 day! A fully mobile 3D printer created the building’s concrete walls and partitions as a fully connected structure, rather than printing the building in panels at an off-site facility as is usually done. The house is a studio-style that has hallways, a bathroom, living room and small kitchen. Scientists at the University College, Cork in Ireland has managed to 3D print cheese. This food beloved worldwide already can transform from a solid into a gooey consistency, so it was an easy choice for the scientists. As you can imagine it was a mess changing cheeses molecular structure. 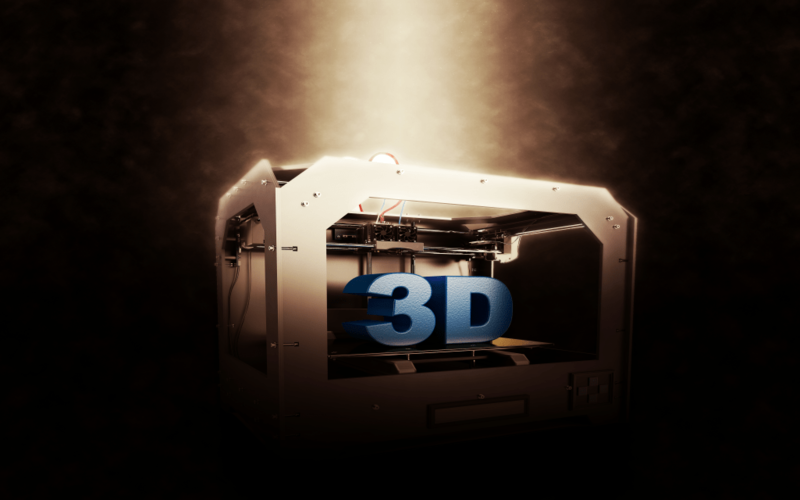 It may seem like inception that a 3D printer can build a 3D printer however it has been done. A company has managed to make a self-replicating printer. It took additional parts at first however now the 3D printer is able to print 100% of itself. The designer had a dream that he could build something that could just keep replicating. A mushroom octopus you ask? Well scientist undertook a study to look at whether 3D printing food in an interesting shape would entice kids to eat more vegetables. The mushroom octopus that was undertaken contained a blend of bananas, white beans, mushrooms and milk, it wasn’t concluded whether making a mushroom octopus increased the chances of getting kids to eat vegies however, it does seem like they are going to a rather extreme effort. 3D printing is becoming more and more bizarre. The field is growing so quickly you don’t know what they will print next!